Ask friends, family and coworkers for recommendations for pediatricians. Visit the prospective pediatricians’ websites to learn more about what is offered at the practice(s). Consider the proximity of the office to your home. Of course, you should be willing to travel a little farther to obtain the best care possible. Review the practice hours. Do they offer weekend/holiday hours if your child is ill. Know who covers them on weekends/holidays. Schedule a prenatal visit (some pediatricians allow for one-to-one sessions, while others meet expectant parents in a group-like setting). Bring a questionnaire to the prenatal pediatrician visit, so you can be sure you leave with all the answers. 1. What training do you and your office staff have to support my breastfeeding experience? There are certainly many continuing education programs that provide physicians with some knowledge-base regarding breastfeeding. You would also want to learn what their credentials mean to you, in regards to breastfeeding. 2. Do you have an International Board Certified Lactation Consultant (IBCLC) in your office or is there an IBCLC you refer to regularly that takes my insurance? 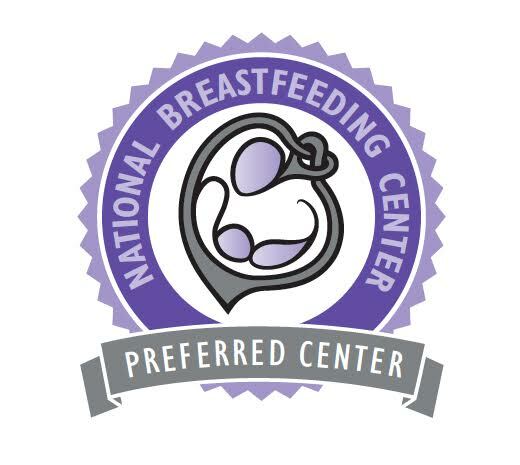 An IBCLC is the gold standard of lactation care. Ideally, every pediatric office should have an IBCLC or, at the very least, be able to tell you that how close the nearest IBCLC is that they refer to regularly. Also a Fellow of the Academy of Breastfeeding Medicine (FABM) is another title for a physician that will be able to assist you in your feeding goals. 3. What percentage of newborns in your practice are breastfeeding? National average is approaching 80 percent of newborns breastfeeding, and you would expect the pediatrician’s average to be close to national average. Don’t fret, though, if the pediatrician does not know their statistics, just be sure they are dedicated to your plan to breastfeed. 4. Do you observe a breastfeeding session in your office to ensure nursing is effective? Most pediatricians with lactation training desire to observe a feeding session within the first two weeks of life, when most nursing problems are evident, ensuring proper positioning and latch along with consistent milk transfer. 5. How long should my baby exclusively breastfeed for? When do we introduce solid foods? How long should we continue breastfeeding after introducing solid foods. If their answer is any less than six months, you may want to look elsewhere. The American Academy of Pediatrics (AAP) recommends babies be exclusively breastfed for the first six months of life with introduction of solid foods at six months and continued breastfeeding through one year of age. Did you know the AAP recommends breastfeeding for at least one full year, while the World Health Organization (WHO) recommends two years of breastfeeding, along with complementary foods. Honestly, the best answer you can get as to how long to breastfeed, is however long you and baby mutually want to continue the breastfeeding relationship. 6. If I choose to return to work while breastfeeding, how can you help me? Some offices now offer “returning to work” classes or individual appointments where choosing the correct pump for your needs is an important topic and discussion occurs regarding expressing the most milk during your sessions. Your provider should be able to show you methods to best transition a baby from breast to bottle and vice versa. The pediatrician should also be well versed in the laws regarding working mothers and breastfeeding and be willing to write a letter to your employer explaining such laws, along with the benefits of breastfeeding for mom, baby and the employer. 7. What other resources are in the area to support breastfeeding mothers? Your pediatrician should be able to tell you about local support groups, meetings, classes and breastfeeding coalitions that will support your goals above and beyond the support you will receive in the office. The pediatrician should also be familiar with apps and websites that can assist mothers and providers in clinical decision making regarding the safety of medications and supplements while breastfeeding.